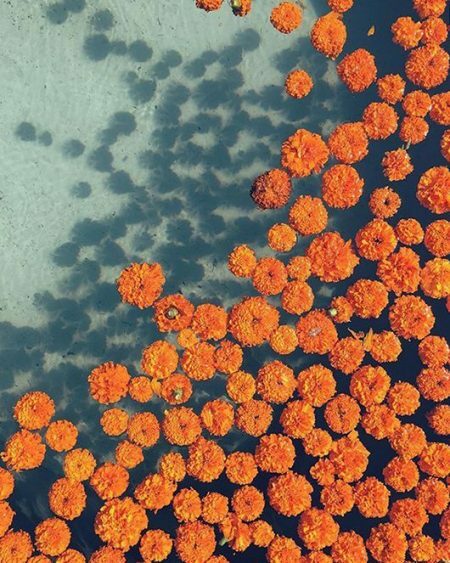 Marigold is October’s birth flower. It symbolizes elegance and devotion. They have daisy-like or double, carnation-like flowerheads and are produced singly or in clusters. Also known as Calendula, this vibrant yellow and orange flower is used in Indian wedding ceremonies and festivals and in Mexico for the Day of the Dead celebrations. Cut marigolds will last at least a week if properly maintained, and are perfect as part of a larger bouquet or arrangement, with lots of purple and white blooms and green foliage. Did you know: Marigolds are edible and sometimes used in food as a substitute for saffron? The Marigold’s strong scent is also used as natural mosquito and fly repellent! Have a look at our Instagram: https://www.instagram.com/melbourneflorist/ or follow us on Facebook for more floral inspo!